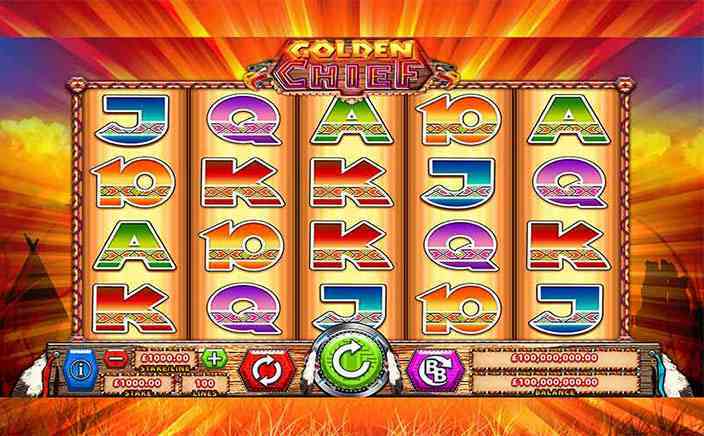 Golden Chief is a slot which features 5 reels and 4 rows while the number of paylines varies from 10 up to 100. Inspired by the Native American theme, the slot is a creative piece of work by Scientific games. Play this slot at Monster Casino and bring joyous wins. The betting range ranges from 10p to £500 per spin. The symbols include the playing cards that belong to the Native American style accommodate K, A, J, Q and 10 along with chiefs, squaws, bears and totems. The scatter symbol named Golden Bonus has a lot to offer when it comes to wins. When you land at least 3 of them, you will be awarded the Bonus wheel which will further give you access to three bonus features. There is a feature named Cash Canyon in Golden Chief slots which will make you move along the Canyon trail. The longer you go, the higher will be the rewards. 500 times the stake is the highest payout you can grab. Moreover, do keep in mind that triggering the Bonus wheel along with 4 scatter symbols will pay you even more. In another feature named Totems Riches, you will have to climb the Totem poles which will award stake multipliers. Make a selection from the three totem poles where each win will be higher than the previous one. Again, the win here will be 500 times the stake. More easy wins can come your way if four scatter symbols are provided as this will give an extra life. The last bonus feature is the Free Spins feature which awards free spins up to 5 for 3 scatter symbols and up to 10 for 4 scatter symbols. This feature can also be triggered directly when the base game is going on. If you land one, two, three or four bonus symbols and will award one, two, four or ten free spins respectively. The chief symbol acts as a Heap Wild and on its appearance, it expands to its full height also up to five reels wide. Note that the number of paylines is altered according to the betting amount as playing at less than £2 per spin will increase the payline number from 10 up to 50. And if the betting amount is over £2 per spin, it will increase the number of paylines from 20 up to 100. With simple gameplay, there are various features to benefit from which can result in some huge wins. The return to player percentage is 94.12% for low stakes and 98.12% for high stakes. 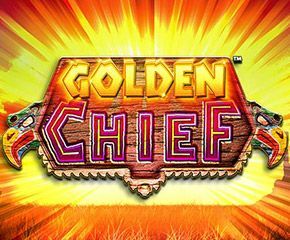 Fully packed with features, the slot Golden Chief ensures players a lot of fun and is worth going a spin for.